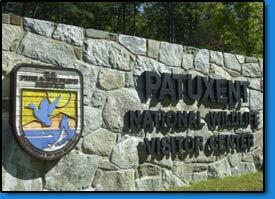 Park Sign Recreational Signs Custom Signs Maryland | KERLEY CUSTOM SIGNS, INC.
From national parks and wayfinding signs to recreational signage, Kerley Signs has been manufacturing and installing custom signs in Maryland, Virginia and Washington DC for a diverse clientele. We take the same care in producing a sign for a small office park that we do for a large recreational facility. And, since all of our offerings are custom signs made in Maryland, matching colors and style is no problem. All across the country there are hundreds of National Parks, recreational facilities, hiking trails, and other similar areas. Whether or not we're working to design a sign for a small park office, or one for a gigantic National Reserve, here at Kerley Signs we produce nothing but the highest quality products for our customers, whoever they might be. When dealing with the parks and recreational industry, there is ample opportunity for signs to aid and assist. Our team of professionals are able to provide you with a number of different options depending on what exactly it is that you want your sign to convey. Camp Grounds: Anyone who has ever been to a camp ground knows that without the proper signs directing you, its not hard to get lost. These signs can help direct you around one-way roads, help you locate main/ranger offices, designate fire / BBQ areas, or direct you to your actual site. Other messages may include areas to walk pets, park hours, bathroom locations, and hunting/fishing regulations. Overall these signs are an imperative part of the industry. Without them the business would surely sink. Hiking Trails: Similar to campgrounds, trails can be a difficult place to get around without any type of proper direction. While hiking on trails, no matter how small or large, signs can help make your trip easier as well as assist in keeping you as safe as possible while in the woods. These signs can help designate trail beginnings and ends, appropriate places to use the bathroom, changing trails, trail park hours, areas where dangerous wildlife may be present, and other useful information. National Parks / Recreational Areas: Not every outdoor recreational area has a campground and hiking trails. Some of the National Parks within our Country attract tourists from all over just to drive or walk through and experience the wildlife and other geographical features. While in these areas the slightest wrong turn could lead you deep into the wild, into a potentially dangerous situation. Proper direction is again necessary to ensure that everyone is properly informed as to park regulations such as whether or not to feed wildlife, no pets allowed, boat ramps (if lakes apply), park hours, what areas to not get out of the car in, and other additional information. These are only a few of the ways in which Kerley Signs can assist in helping to provide you with all of the signage needed to ensure the smooth operation of whatever type of parks and recreational facilities you may be associated with.